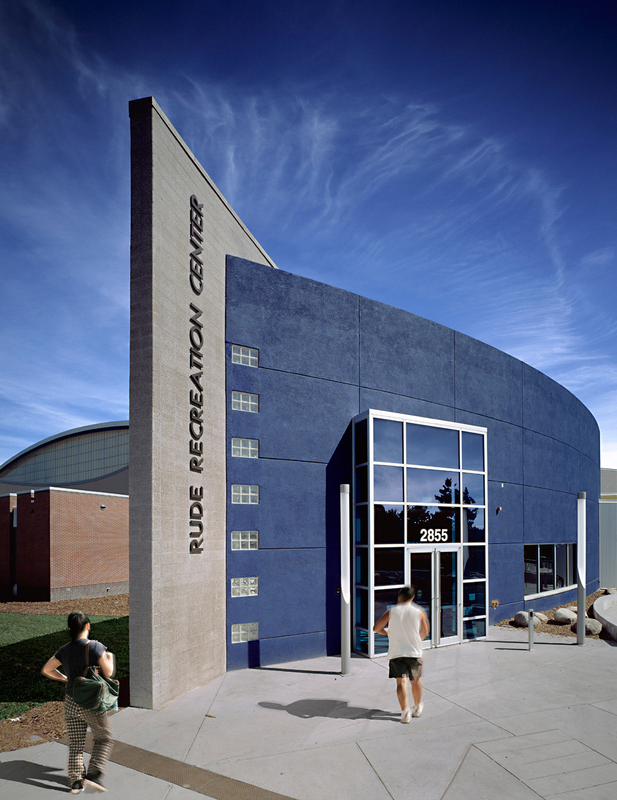 The new Rude Recreation Center responds to its considerable site constraints with remarkable openness and ingenuity. 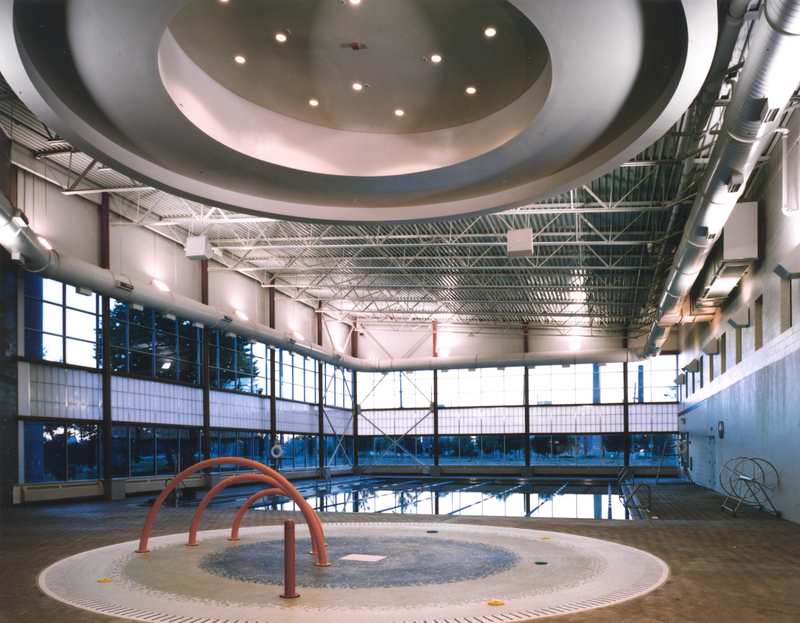 Bounded on the north by a restrictive floodway, to the southeast by an existing childcare facility, and to the southwest by a city baseball field, the new Rude center provides 42,900 sf of community amenities on a site previously occupied by the old 30,000 sf center. 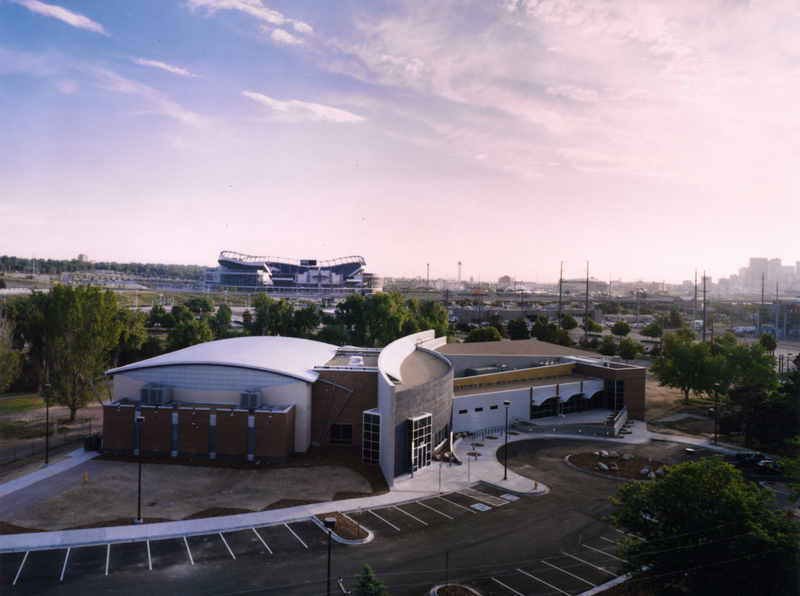 The site and elevation aspects of the building were carefully coordinated to tae advantage of the beautiful park setting, and will provide exceptional views of downtown Denver and the new Bronco’s stadium. 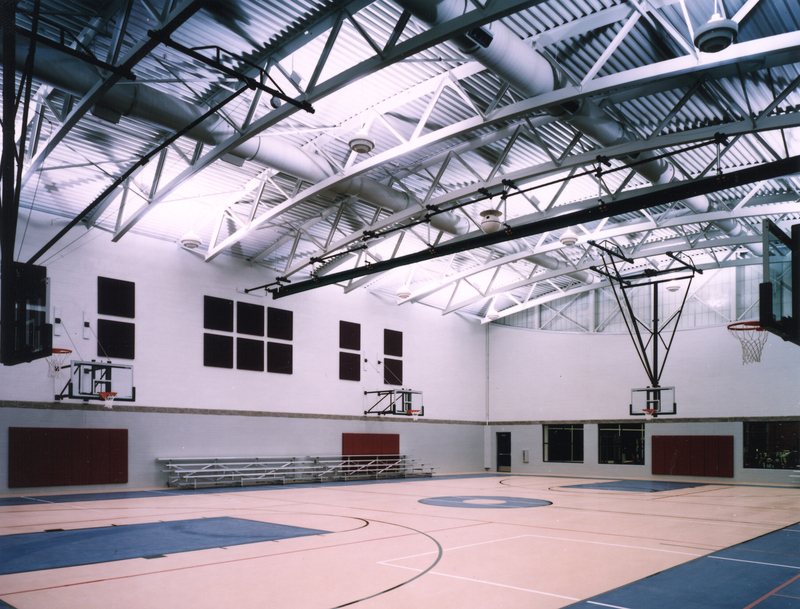 The use of material, scale, and lighting is designed to integrate interior and exterior spaces, providing surprisingly spacious environments in a compact and efficient structure. 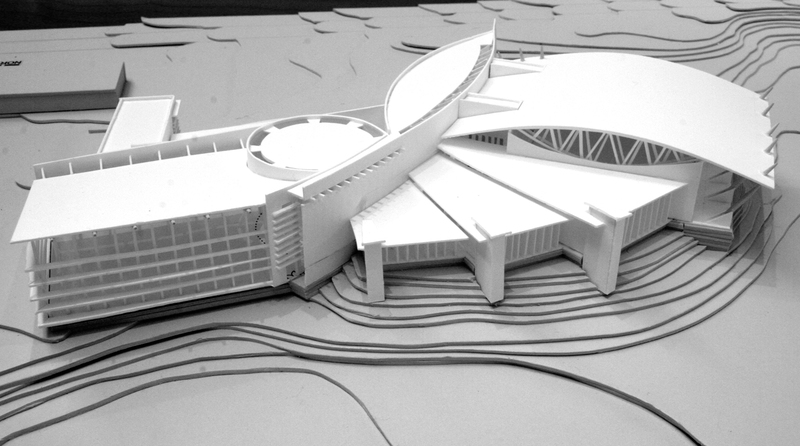 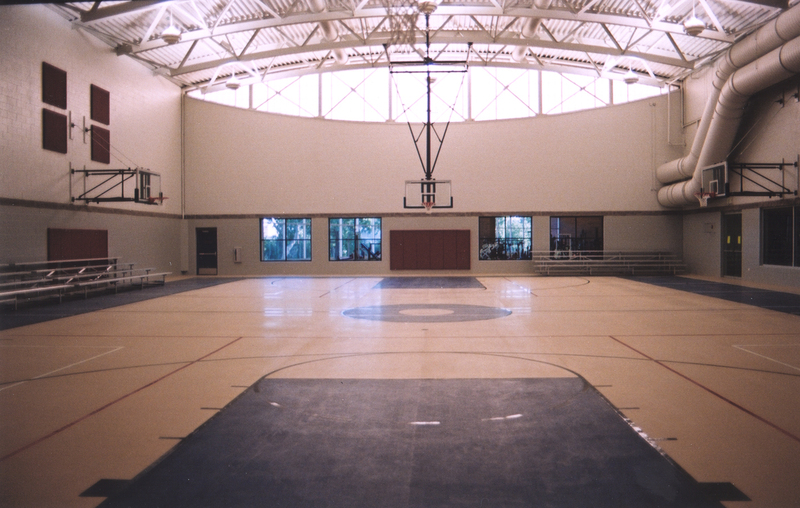 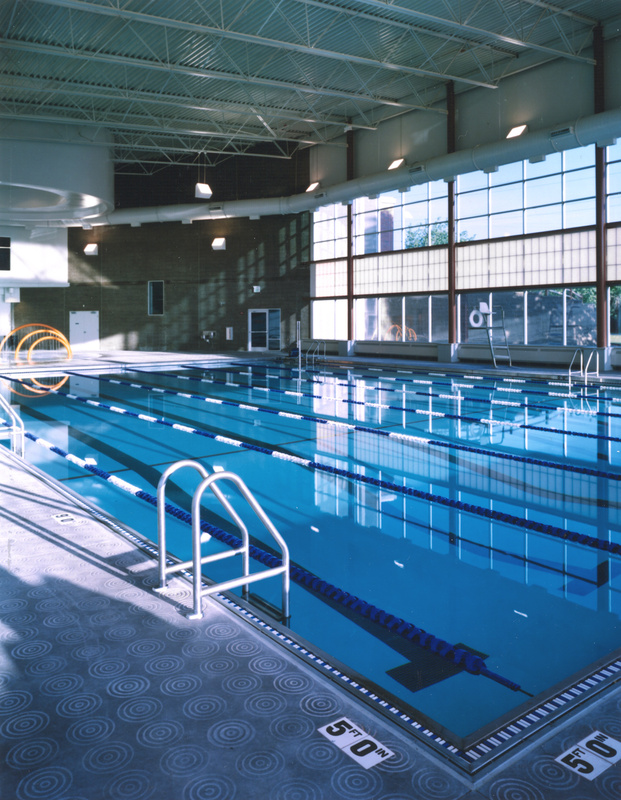 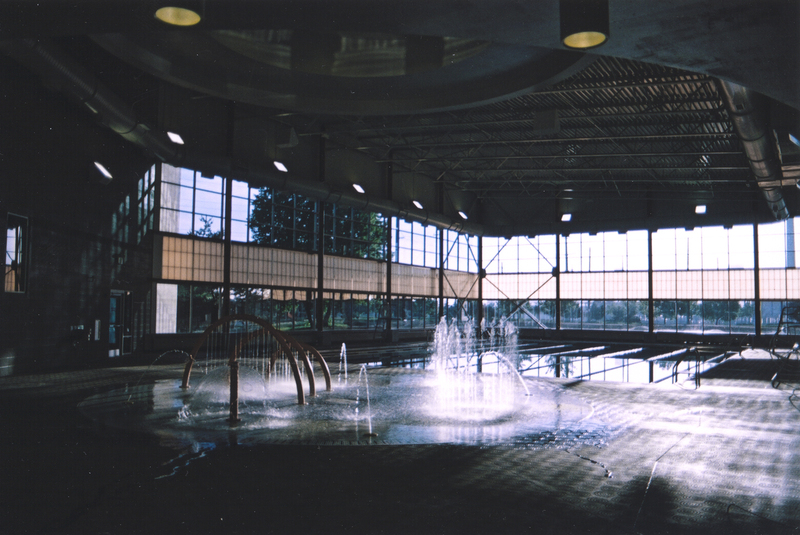 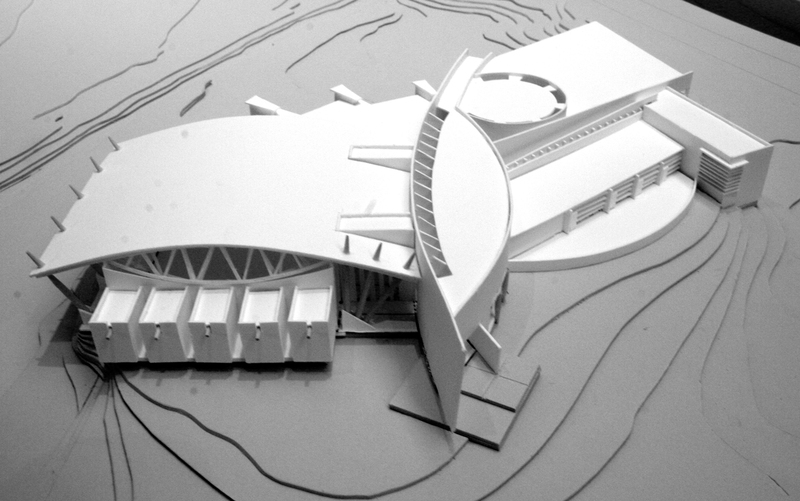 A fan-like composition unfolds to accommodate full size swimming and wading pools, a basketball court, and an uncommonly large weight raining facility that will serve and reflect the community’s specific interest in the sport. 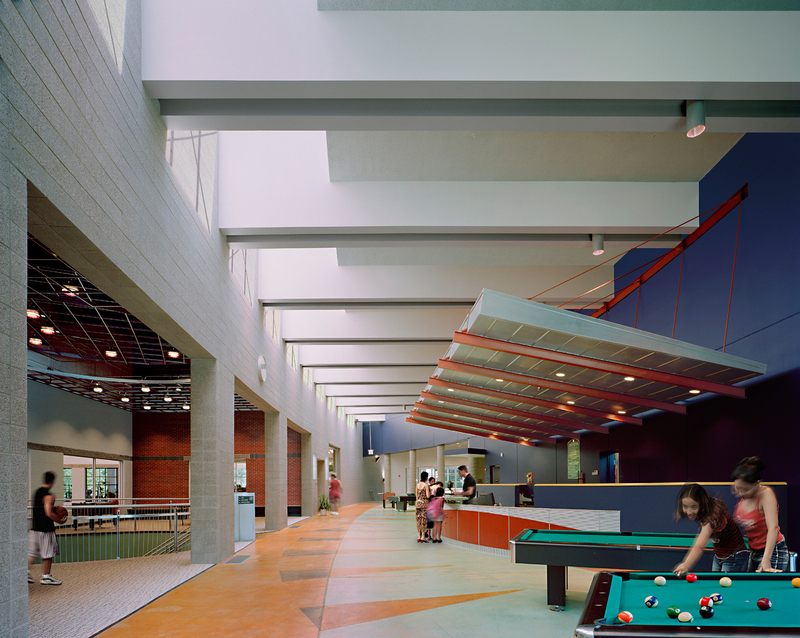 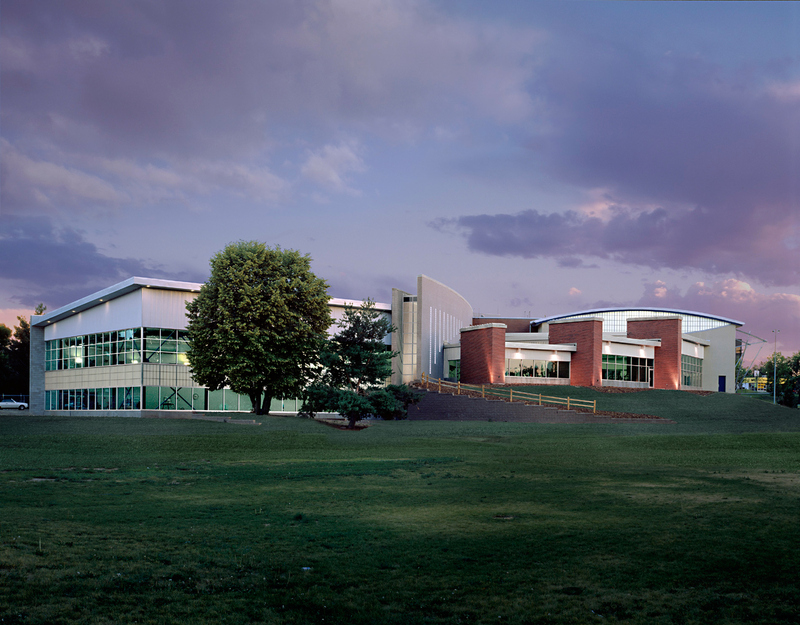 Multi-purpose rooms and a kitchen were designed to serve the community at large and specifically the Food Bank of the Rockies, a well-regarded Denver-based meals program which assists the youth of the surrounding neighborhood.